But anyway, he loved it and that what it counts. So I just wanted to share it with you guys. Looks good, you're clearly very talented. Hi Auria, welcome! And WOW, what an introduction! Your friend is a lucky guy, regardless of what he asked for. I hope you'll share more of your artwork with us! Thanks you both! 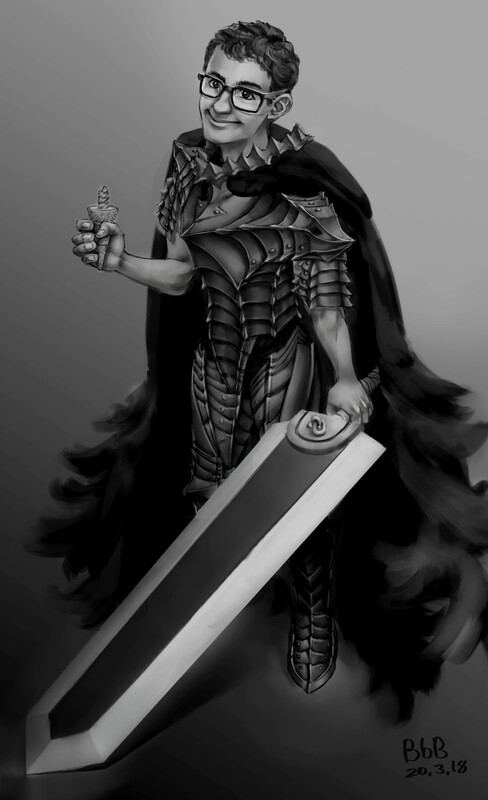 :-) I hope I draw more Berserk in the future too. Very nice work! Welcome to the community!